Learn how one rural California trauma center used a study to determine what would increase engagement and then implemented what it learned to great success. ABSTRACT: Physician engagement is a widely used measure of the strength of physicians’ commitment to an organization. In 2009, overall physician engagement at a rural, northern California trauma center was at the 44th percentile nationally, but it increased to the 85th percentile in 2017. A study to learn from physician leaders what they believe leads to high levels of physician engagement identified specific actions and behaviors that contribute to it. The information gleaned might be useful for other organizations. J. Matthew Neal, MD, MBA, CPE, FACP, FACE, FAAPL, a member of the Physician Leadership Journal editorial board, comments on this article. Click here. Enloe Medical Center is a 298-bed, independent, not-for-profit, Level II trauma center in rural northern California. In 2006, the organization experienced significant challenges that required reimagining the leadership model and increased investment in physician leadership development7,8 because physician engagement is “the holy grail of today’s health care industry.”9 Since 2009, Enloe has conducted periodic physician-engagement surveys using an instrument developed by Gallup, the American research organization (see Figure 1). In 2015, Gallup measured physician engagement with its CE tool,10 which is used to measure customer engagement in other settings. It assessed physicians’ connection to the organization using eight emotional attachment and three rational loyalty questions.11 In 2017, Gallup refined it into the CE3 metric, which describes engagement as a measure of confidence, pride and partnership.11 Gallup’s internal validation confirmed that CE3 survey results directly aligned with those obtained using its previous CE11 tool, an 11-question assessment. Based on the 2009 survey, overall medical staff engagement ranked nationally at the 44th percentile. Three years earlier, having just embarked on a major construction project and an affiliation with the patient-centered Planetree organization, contract negotiations collapsed between administration and an exclusive-contract physician group. Turmoil resulted in the resignations of the CEO, board chair and board vice chair. Subsequent quality disruptions shattered the confidence of the community and the organization. In 2009, after three years of transition and stabilization, the organization selected a new CEO, who helped create a new patient-centered, values-driven mission and vision. The 2017 survey demonstrated physician engagement at the 85th percentile when compared to the Gallup national database. In that survey, nine of the 15 departments showed engagement scores considered “best practice” (greater than or equal to 75th percentile), ranging from the 1st to the 99th percentile. Consultants characterized the 2015 results as showing “polarization,” whereas the 2017 results demonstrated “teamwork” (see Figure 2). Many variables were stable from 2015 to 2017. Nursing turnover was less than 7 percent. No major infrastructure or service-line changes occurred. Senior leadership was unchanged. The hospital posted a modest positive margin in fiscal years 2015-17. Hospital volumes increased approximately 7 percent the fiscal year before the 2017 survey. 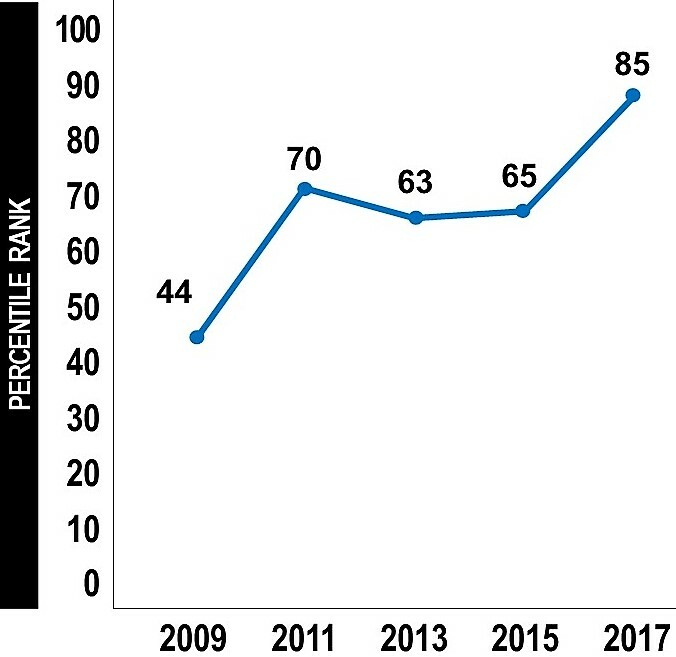 The Hospital Consumer Assessment of Healthcare Providers and Systems response to “overall rating” remained above the 75th percentile. Compared to 2015 results, 2017 engagement trended toward the upper percentiles. This observation led to the question posed by this study: What do physician leaders believe contributes to higher engagement scores? Published literature most often posits factors that might lead to higher engagement.12,13,14 Other studies shared techniques enacted to improve engagement.6 This study adds to current knowledge by reporting physician leaders’ own insights into the strategies they see and use to improve physician engagement. What do you make of the engagement results? What do you do to engage physicians in your department? What should be done to maintain engagement? I reviewed responses for common themes that, if implemented, might foster a culture of high physician engagement. Three domains contributed to high physician engagement: administration, physician group culture and physician leadership. “Administration’s role is to create an environment that allows doctors to do their best and then let them do their best,” one medical director/department chair said. C-suite culture: Physician engagement starts here. C-suite culture is most visible in the relationship between physicians and the CEO. Physician leaders frequently cited the CEO’s open-door management style as a strength that contributes to engagement. The CEO demonstrates the value placed on physicians by keeping commitments made to doctors, meeting with physicians in their offices and thanking them for their time, and carefully considering physician opinions in decision-making. Physician leaders said contract challenges were the main driver of low engagement. Recruiting: A physician leader said, “Having more doctors to be on call contributes to better engagement.” Administrators increased resources dedicated to recruiting, which resulted in more new physicians on staff. These new physicians relieved shortages in several practice areas, improving the quality of life in those specialties. Physician leaders cited this commitment to effective recruiting as a factor in reducing work stress and providing better work-life integration. These leaders also identified administrators’ willingness to hire locum tenens physicians to bridge the gap between recruitment and new physician start dates as an acknowledgement of the hard work physicians do. Common space for physicians: Rosenthal and Verghese observed that “perhaps the greatest opportunity for improving our professional satisfaction in the short term lies in restoring our connections with one another.”15 A physician leader identified the difficulties in maintaining collegial interactions, particularly between doctors of different specialties, as they become busier and general medical staff meetings are less well-attended. Also, several years before the 2017 engagement survey, a new food service contract was put in place. Now, a chef is stationed in the cramped medical staff dining room weekday mornings, preparing fresh and made-to-order food. The physician lounge transformed from a sparsely visited room to a place to connect with colleagues on a professional and personal level. The CEO stated that the administrative suite, dating to the 1980s, would not be renovated until a new physician lounge was completed, demonstrating the priority placed on physician experience. Enloe completed the new physician suite, with a large dining area, library and adjoining conference area, 18 months after the 2017 engagement survey. Physician reception: Administrators host a yearly physician reception at a local point of interest, where they introduce new physicians. Open to physicians and their guests, a physician leader stated that this reception contributed to a more engaged medical staff. “Engagement is driven by group culture,” said one physician leader. This observation identified a key lesson from the data: Not only does the C-suite culture influence organizational success or failure, but physician group culture is central to those outcomes as well. Work-life integration: Several departments promote extended periods of time off for physicians to use as they choose. Called “sabbaticals” by one department, physicians use this time for personal growth, work outside the country and in-depth training at a university setting. Social connectivity: In addition to department-based social events to celebrate holidays or harvest time, one department met for an afternoon of go-kart racing to build community. For decades, members of an off-campus department have walked to the hospital to eat lunch together. Small groups: Journal clubs promote collegiality and intellectual growth. One medical director leads a journal club for physicians and advanced-practice professionals at different local restaurants, with the cost of meals paid by the administration. Another hosts monthly discussion groups focused on nonmedical topics to enrich participants’ lives. Group leadership in the hospital: Because of the hospital’s geographic isolation, most physicians work only at one hospital. This exclusivity drives many to feel invested in the organization where they are building their careers. One hospital-based group asks each member to participate in a quality-improvement project every three years. Several groups set the expectation that members will serve on key hospital committees, and those physicians report to the group during department meetings. Using technology to connect: HIPAA-compliant technology, such as secure texting, facilitates physicians seeking to contact a colleague for input on difficult cases, which improves patient care and fosters a supportive environment among group members. “Medical director meetings and physician leadership retreats create a good sense of team,” said one medical director. All physicians interviewed had significant leadership experience. Of the 21 physicians interviewed, 15 were current medical directors, and all but one physician had current or past department chair experience. Leadership development: Annually since 2001, medical directors and physician department chairs gather offsite for a leadership retreat, addressing topics such as peer review, quality improvement and burnout. The retreat establishes leadership priorities for the year. The CEO, chief medical officer, chief nursing officer and other senior hospital leaders and board of trustees members attend, sharing the cost between medical staff and administration. Since 2014, medical directors meet quarterly with the CMO, CEO and other senior leaders. These meetings establish medical directors as a distinct leadership body and allow direct input on topics of importance. Collaboration and continuity: Historically, the chief of staff role was a solo endeavor. In 2008, the three medical-staff officers implemented monthly “cabinet meetings” with the CMO and director of medical staff services. In 2015, this group was expanded to include the CEO. In addition to reinforcing the importance of communication and collaboration between senior hospital and physician leaders, the cabinet meetings create a team-based physician leadership model and peer support for officers as they face challenging situations. Recognition: Since 2005, the medical executive committee selects a member of the medical staff to receive the annual Physician Legacy Award. One former department chair and recipient of this peer-selected award said this was “a highlight of [his] career.” Since 2008, a physician who consistently demonstrates patient-centered care is awarded the Spirit of Planetree Physician Champion Award. The administration transcribes positive comments about physicians, taken from patient surveys, and gives them to physicians at department meetings; comments are kept in physicians’ medical staff files. Quarterly “Stories of Excellence” reflect exceptional care throughout the organization, and physicians are often recognized in these vignettes. Meeting culture: Hospital meetings begin with “moments of excellence.” The medical staff has adopted this practice to recognize “good stuff.” One department chair uses a “three-minute rule” to guide how long an individual can speak on a topic to allow everyone to participate and feel heard. 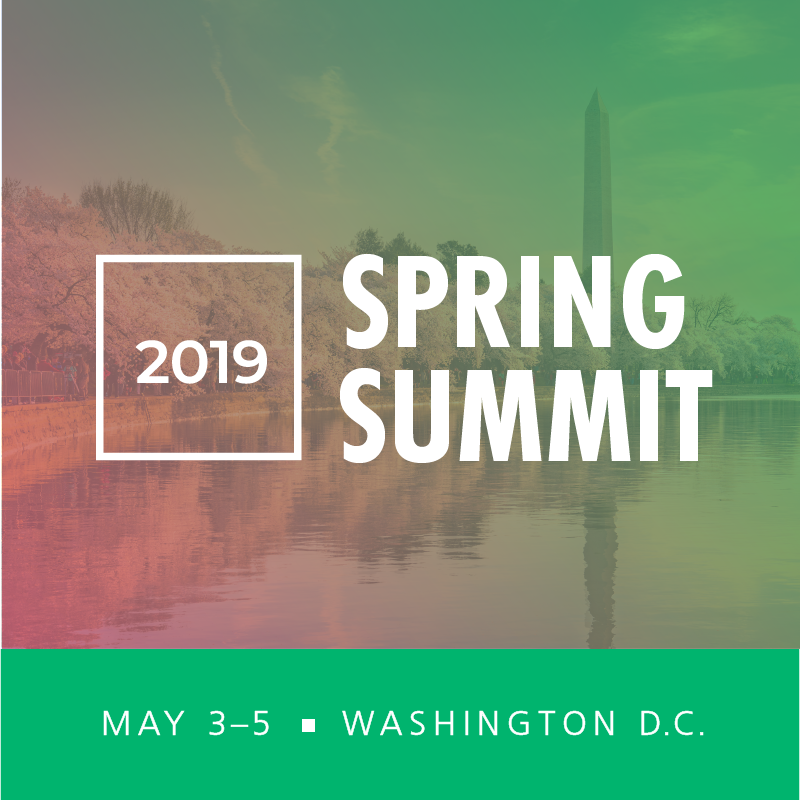 Leadership culture: The medical staff secretary-treasurer leads the annual Quality Summit, at which physician champions present outcomes of projects completed the prior year. This event highlights significant achievements that raise quality throughout the organization. 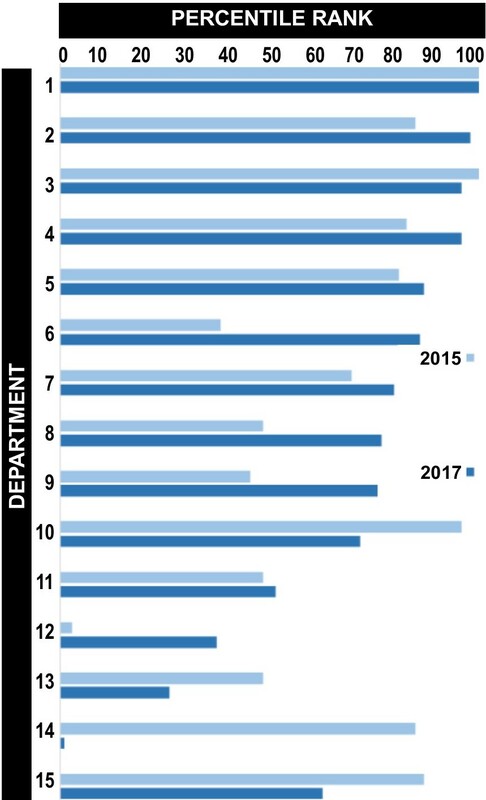 Several physician leaders set the expectation that their department members participate on major hospital committees and report that work at department meetings. One physician leader sees her role as identifying what colleagues are passionate about and tapping them to get involved. I asked 21 physician leaders for their insights on what contributes to high physician engagement, measured by the Gallup Physician Engagement Survey. Those leaders identified actions and behaviors in three domains that are important to physician engagement (see Table 1). Use locum tenens physicians when needed. Provide a comfortable physician lounge. Value physician participation on hospital committees. Use technology, such as HIPAA-compliant texting, to connect and support group members. Hold annual off-site leadership retreats with medical directors, department chairs and administrators. Prioritize physician leadership of quality initiatives. Hold regular medical director meetings with administration. Create monthly medical staff officer meetings with the CEO and chief medical officer. Recognize and celebrate excellence in medical staff. Create department meetings that value participation by all. Factors identified by physician leaders closely mirror important leadership behaviors shown to reduce burnout and promote engagement.16,17 These factors also reflect elements of the Stanford Wellness Model,18 which describes the reciprocity of a culture of wellness, practice efficiency and personal resilience on physician well-being. The engagement survey instrument and the study setting presented limitations. The Gallup survey instrument measuring physician engagement changed from the CE11 (used before 2017) to the CE3 survey used in 2017. The Gallup organization provided the hospital a letter attesting to the direct comparability of the two survey instruments, but that change raised questions when discussing the results, particularly with the board. The 2015 percentile-rankings results were converted to the corresponding percentile under the CE3 survey, allowing comparison of the 2015 and 2017 data. Study findings, conducted in an independent, nonprofit hospital, might not directly apply to more-complex systems, for-profit organizations or outpatient settings. The structure of the interviews, conducted in-person by the author, might have influenced the responses. This small study was not designed to measure the statistical significance of the observations. It was intended to promote wisdom-sharing between a specific group of physician leaders and those at other organizations. There are several suggested directions for further study. The medical directors comprise 15 percent of the active medical staff. When 10 percent of a population holds to a particular idea or belief, that idea or belief will spread more quickly.19 Physician engagement represents particular beliefs about physician experiences in an organization. Further study might identify if the engagement of medical directors, which in 2017 reached the 96th percentile, can be used as an indicator of physician-hospital alignment. Figure 2 presents data worth further study — specifically, which factors contribute to engagement data that show the largest year-to-year changes. Physician leaders in this independent, not-for-profit rural hospital identified actions and behaviors associated with high degrees of engagement. While not evaluated for statistical significance, the observations showed consistency around the important domains affecting physician engagement. These findings might be applicable to other physician leaders and organizations seeking to improve physician engagement. Marcia Nelson, MD, MMM, CPE, FAAFP, FAAPL, is chief medical officer at Enloe Medical Center in Chico, California. Lewis N. A primer on defining the Triple Aim. Institute for Healthcare Improvement. http://www.ihi.org/communities/blogs/a-primer-on-defining-the-triple-aim. Published Oct. 17, 2014. Accessed Feb. 11, 2018. Feeley D. The Triple Aim or the Quadruple Aim? Four points to help set your strategy. Institute for Healthcare Improvement. http://www.ihi.org/communities/blogs/the-triple-aim-or-the-quadruple-aim-four-points-to-help-set-your-strategy. Published Nov. 28, 2017. Accessed Feb. 11, 2018. Nelson M. From the 2nd percentile to the 75th percentile in four years. California Healthcare News. http://www.cahcnews.com/newsletters/ca-mnelson1011.pdf. Published Sept. 8, 2011. Accessed July 23, 2018. Freed Associates. Developing a successful physician engagement strategy. Becker’s Hospital Review. https://www.beckershospitalreview.com/hospital-physician-relationships/developing-a-successful-physician-engagement-strategy.html. Published March 30, 2017. Accessed July 22, 2018. Gallup Consulting. Turning customers into true believers. http://www.gallup.com/services/169331/customer-engagement.aspx. Published 2000. Accessed May 29, 2018. Gallup Consulting. Customer engagement: What’s your engagement ratio? https://www.gallup.com/file/services/176297/Customer%20Engagement%20Ratio%20Brochure.pdf. Published 2009. Accessed May 29, 2018. Mayer R. Quint Studer on physician engagement: Maximize your greatest resource. 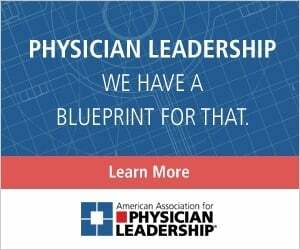 Physician Leadership News, from American Association for Physician Leadership. https://news.physicianleaders.org/quint-studer-on-physician-engagement-maximize-your-greatest-resource. Published Feb. 8, 2018. Accessed May 28, 2018. Freed Associates. Developing a successful physician engagement strategy. Becker’s Hospital Review. https://www.beckershospitalreview.com/hospital-physician-relationships/developing-a-successful-physician-engagement-strategy.html. Published March 30, 2017. Accessed May 29, 2018. Agency for Healthcare Research and Quality. Physician Engagement (Slide Presentation). Agency for Healthcare Research and Quality. https://www.ahrq.gov/professionals/education/curriculum-tools/cusptoolkit/toolkit/contentcalls/physengagement-slides/physengageslides.html. Updated June 2013. Accessed May 29, 2018. Bohman B, Dyrbye L, Sinsky C, et al. Physician well-being: The reciprocity of practice efficiency, culture of wellness and personal resilience. NEJM Catalyst. https://catalyst.nejm.org/physician-well-being-efficiency-wellness-resilience. Published Aug. 7, 2017. Accessed July 2, 2018. Xie J, Sreenivasan S, Korniss G, et al. Social consensus through the influence of committed minorities. Phys Rev E. 2011;84:1-8. doi:10.1103/PhysRev/E.84.011130.